As I write this, my mother is dying. 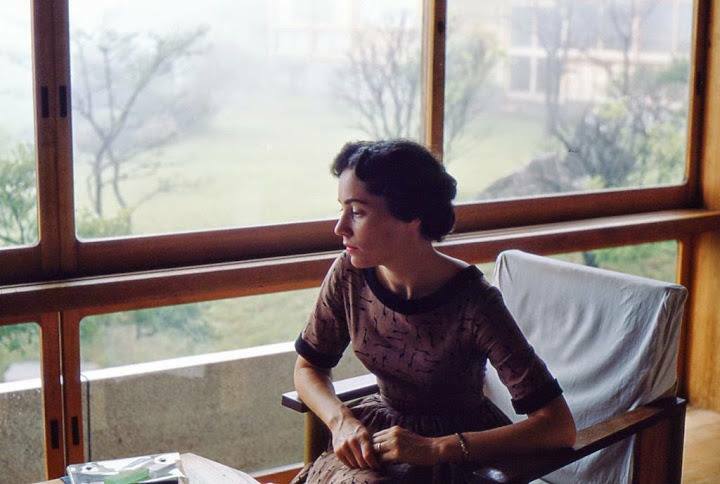 My Mom in Japan in the mid 1950’s. She is eighty-seven, born in Ransomville, Niagara County, New York in 1931, the 13th of 15 children. 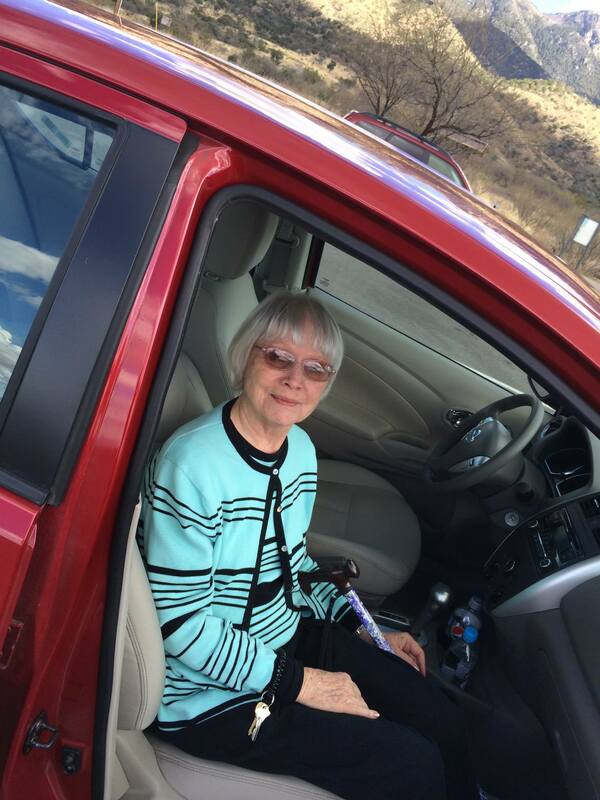 Now living in Green Valley, Arizona, she elected earlier this year to go into Hospice rather than continue medical treatment for Parkinson’s, diabetes, and a heart condition. 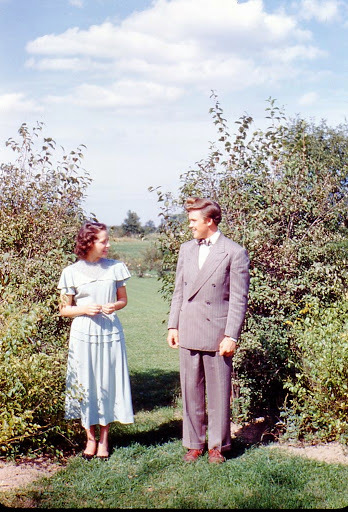 My Mom and Dad in their early twenties. She was thirty-one when she had me, the last of her three children. She had earlier had a girl (my sister, seven years older than me) and a boy (my brother, five years older than me). They live in New Orleans, Louisiana, and Washington, D.C., respectively. She and my father moved to Arizona around twenty years ago as a fulfillment of a lifelong dream of my father’s upon his second retirement. When he passed away in 2004, she decided to stay in Arizona and move into an all-world sort of retirement community so she “wouldn’t be a burden” to any of us. She went several years where we traded trips back and forth; then she got to where she couldn’t really travel, so I went to see her at least yearly. 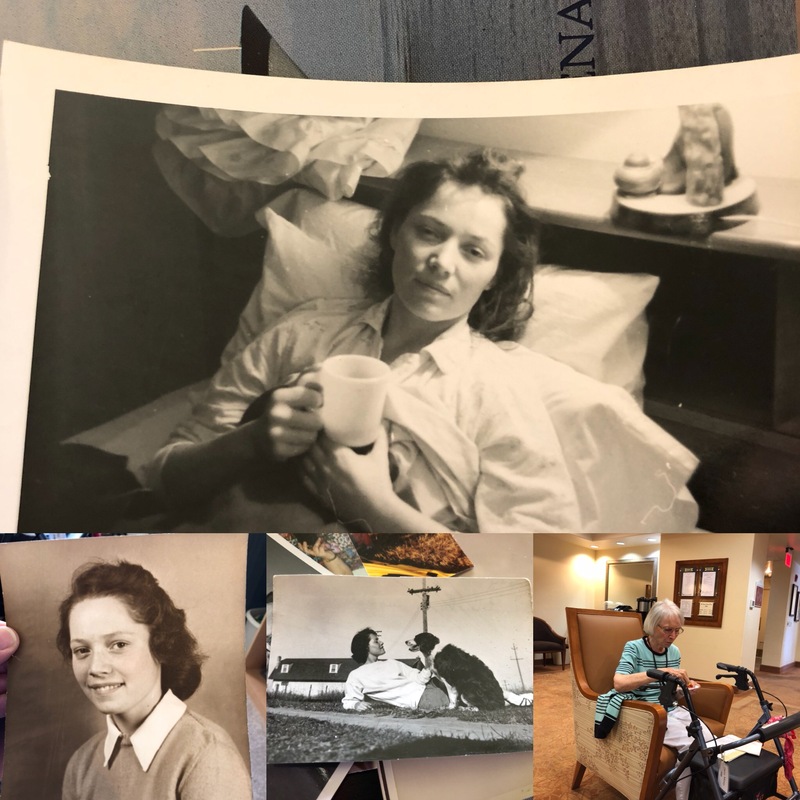 During her thirteen years in the retirement community, she went from a “you’re too young to live here” dweller in a bright, breezy apartment to a slowing down resident in the Assisted Living facility a couple of years ago, then to the nursing home and hospice care earlier this year. All of her moving choices have been conscious and thought-through ones; when she chose hospice, she was choosing to lead the last stage of her life the same way she lived the rest of her adult life — on her own terms. I’ve known the last few years she was heading towards this choice. An almost ninety-year-old mother of an almost sixty-year-old man dying cannot be an unexpected thing: given her slow decline in health and the nature of her choices, it is even less so. But the part of me that’s still a little boy, reading his first book sitting on a sofa with his mom in the mid-1960’s, or riding on a monorail next to her in 1968, is a little lost. 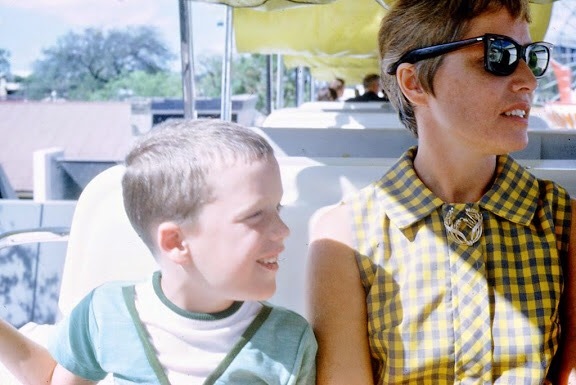 My Mom and me in 1968 at the Hemisfair in San Antonio, Texas. Because knowing it will be very cold, and actually experiencing it are two totally different things. We are always our parents’ children. Sending warm thoughts your way. My heartfelt love and blessings to your mother and to you and your family. She sounds like a very wise lady who has chosen her path wisely. May her passing be gentle, and may you be sustained by all the happy memories of that smiling little boy with his Mom! We have this in common, my friend. Beautiful and beautifully written. Thank you for sharing your reality, transparency, and the journey you are walking. Strength, comfort and courage to you. I feel you. Thank you for sharing. Such a lovely tribute to your mother. Blessings for your family and all you’re going through. Wonderful photos of a beautiful life. ~note~ the photo of you and your mom at the Hemisfair brought back my memories of being there too, with my mom, dad, & sister. Your family was there? Wow. Iremember a lot about that place. It was amazing. I really feel for you and I thank you for sharing your intimate memories with us. I am so sorry she is going through what she is going through and you both have to endure it as her conditions progress. You will always be your Mother’s son regardless of your ages, it is the childlike innocence that we have around our parents that make our bond with them so unique and fulfilling, from now until the very end. Our memories of the good times we have and have had together are what will will treasure the most forever.